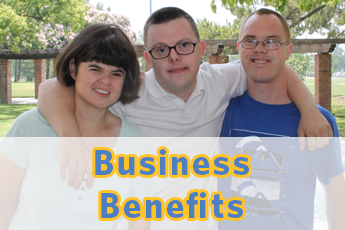 Villa's Employment Services program assists adults with intellectual/developmental disabilities (I/DD) to secure and maintain paid employment in the community. Villa offers job placement, ongoing job coaching, and advocacy. We specialize in customized staffing solutions for adults with I/DD. 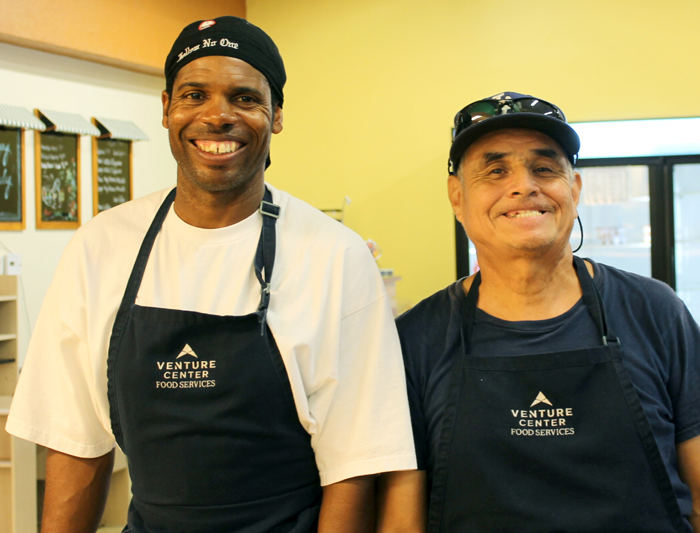 The key to Villa’s Employment program is our person-centered approach. Villa works with the individual, and their circle of support, to gather the necessary information that will allow us to develop a job that will best fit the individual’s wants and needs. The program gives potential employees the chance to match their skills and job preferences with work assignments. We collaborate with community employers and fulfill staffing needs in a variety of job duties. Our role is to match jobs to our clients' interests and abilities, with ongoing job coaching support as needed for successful, long term retention of the position. Villa also offers a transitional adult day program, the Community Integration Program (CIP), for those adults who are interested in developing and honing their skills before attempting to seek employment. CIP participants volunteer at other non-profits in the area to practice their employment skills. For more information on our CIP Program, click here. 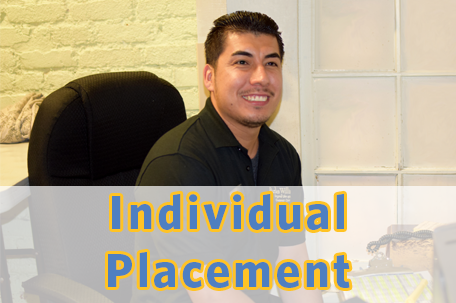 Villa offers both CIP and employment services out of our main office in Pasadena and our regional office in the West Region which serves Ventura County and West San Fernando Valley. 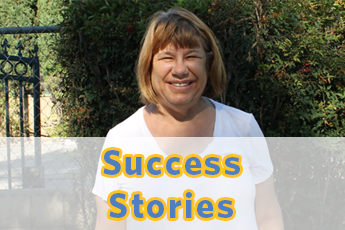 To learn more about our Employment Services program, scroll down to read about program specifics and how our clients are being successful and making a difference in their workplace. Whether you are seeking employment or an amazing employee, click here to contact Employment Services today! Villa assists individuals who are ready for competitive employment to locate a job in their community. Villa provides them with the necessary support, through job coaching, to remain successful in their work place. 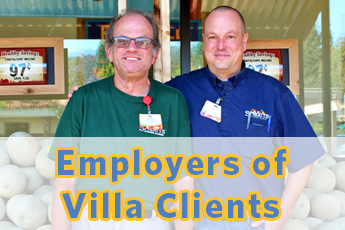 The story below highlights the success of Villa's Employment Services program. Villa Client Greg Guerrero putting together the daily services schedule at Burke Williams Spa in Pasadena. It’s 6:00 a.m. and Greg Guerrero is on the job at the Burke Williams Day Spa in Old Pasadena. He’s focused on a computerized scheduling system that maps out the spa activity for the day. Greg is pairing therapists with clients, assigning treatment rooms and ensuring that all of the appropriate supplies are on-hand and ready to provide each guest with a seamless, customized spa experience. Greg is a Villa client, one of several individuals with developmental disabilities who have been given the opportunity to work at the spa. Through Villa’s Employment Services program, our capable adults receive coaching and support to secure and sustain employment with business partners in the community. The Pasadena Burke Williams Spa is an outstanding example of a local business that is not only providing jobs, but also creating promising futures for our clients. After seeing a news story on TV, Diane Kim who was General Manager of Burke Williams Pasadena location, was intrigued by the possibility of employing individuals with developmental disabilities. She started brainstorming how this might be possible at the spa. She reached out to Michael Greene, Director of Villa’s Employment Services program. They agreed that a job in the spa’s laundry room might be a good fit for a Villa client. At the time, Greg was working on a landscaping and gardening crew as part of Villa’s Supported Employment Program that provides jobs centering around our main campus and in the local community. With the assistance of Villa job coach Joseph Umbro, Greg applied for the laundry room position and prepared for what would be a successful interview. The spa was getting ready for Greg’s arrival. Diane’s faith in her staff was the cornerstone of her confidence in hiring someone with a disability. To her credit, there was an existing culture of compassion and caring. The staff not only accepted Greg, they embraced him. As he began his work in the laundry room, he was afforded his most important opportunity: the chance to learn, grow and advance. With Greg’s hard work and support from those around him, what could have been just a job became his career. He now runs the department where he started. The Burke Williams Spa and Diane Kim, in particular, are very proud of Greg and all of their employees who are part of the Villa program. In addition to Greg, client David Schroeder spends his day making sure that the spa’s sandals and brushes are kept clean and sanitary. He likes keeping busy and there is plenty for him to do. Fay Gibson works in the women’s section of the spa as an attendant, providing clean robes and towels for spa guests. She loves her job there because everyone is nice to her and treats her like family. Villa clients have been working at William Carey International University (WCIU) since 2005 providing support in WCIU’s kitchen cleaning, sweeping and organizing. Villa clients have been doing such a stellar job that last summer WCIU added another Villa crew to their team. Norman and Steve are two crew members whose passion, motivation, and enthusiasm inspires us! 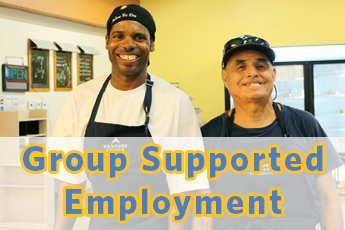 Group supported employment crews consist of three individuals that receive services from Villa and a supervising job coach. These crews are employed in the community and are offered an opportunity to continue to develop and improve their employment skills. Cost Plus SYSCO Food Services of Los Angeles, Inc.
Let us help you with your employment needs in Los Angeles and Ventura Counties!